I was hoping this trend would be beyond tired by 2012. 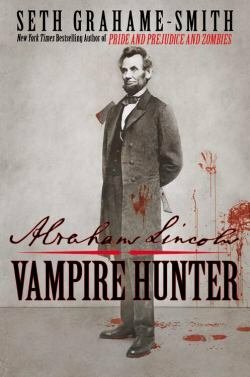 Twentieth Century Fox has purchased the film rights for Seth Grahame-Smith's novel Abraham Lincoln: Vampire Hunter. (Grahame-Smith also wrote Pride and Prejudice and Zombies, and is therefore the dude I hold responsible for the "classic book/famous person + monster" trend.) Details for the movie are already pouring out: it's due in 2012, it has a budget of $69 million, Grahame-Smith is doing the screenplay adaptation, and Timur Bekmambetov (of Wanted fame) will direct.